SURFER Workshop is coming to Kaohsiung, Taiwan! 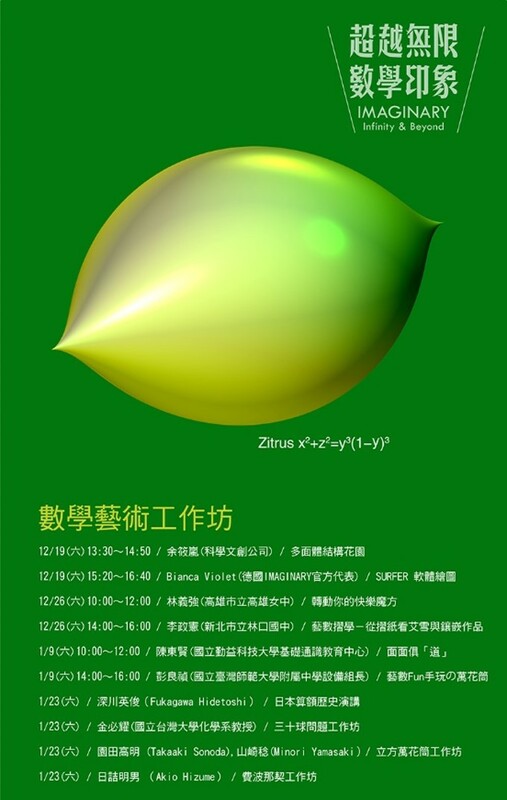 The IMAGINARY exhibition in Taiwan will be opening on December 18, 2015. To welcome the exciting event, we will have a SURFER Workshop, SURFER 軟體繪圖實作, on December 19. Please bring your own computer and have the SURFER software installed.